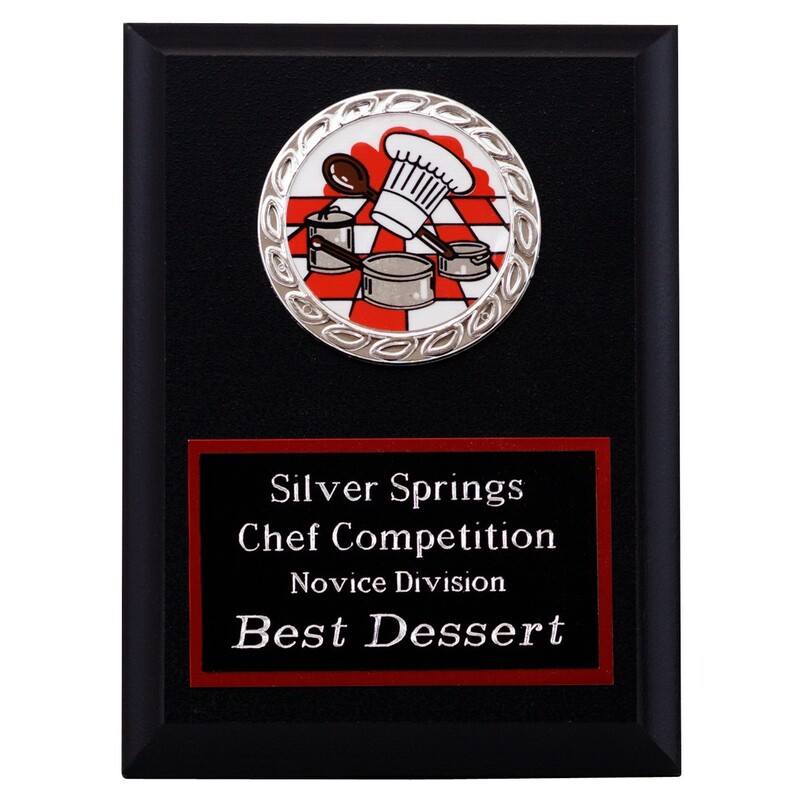 Find that champion with the ladle in your neighborhood and award them for there talent and skill with the Cooking Champion Tournament Plaque. This 5x7 plaque has a colorful insert depicting a chef's hat as well as many pots and pans. Your custom engraving will be added below in silver with a classy red border. This plaque will encourage many chefs to come out and bring their best recipes vying for the championship title and the honor of winning plaque.